Note to Canon owners: If your camcorder uses Firewire (IEEE 1498) for video output, you can use our regular RemoteControlBase to control the camcorder's optical zoom via Firewire. 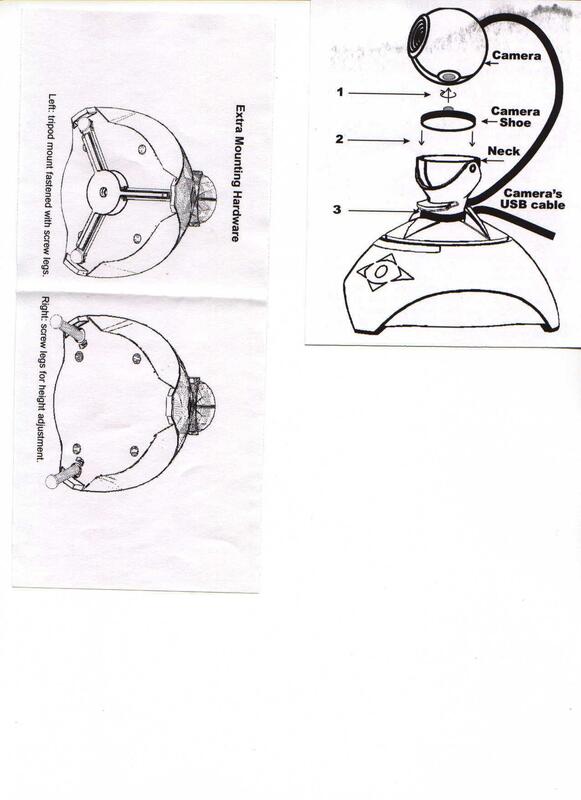 We do have a diagram showing how you mount the camcorder to the this heavy duty base--It is printed a Quick Start sheet that should be shipped with your this heavy duty base. Remote Control – your Camcorder to see what you want with simple mouse-clicks or voice commands. Works with DV camcorders up to 3 pounds in weight. Digital Zoom – Scale the camera image from 50% to 300% to get a full view or close-up view. Surveillance – With the software, set your Remote Control Base/Camcorder to scan a room or area in a simple or complex pattern exactly as you specify. Useful for monitoring banks, lobbies, workshop, parking lot, daycare, workrooms, etc. Motion Tracking – The software is tuned to track all human skin tones and can automatically pan and tilt to track the nearest person as they move around. Quality of tracking depends on the quality of your camcorder. Video Capture – Set your Remote Control Base/Camcorder to capture video from its input to your computer. Make your own home movies! Remote Monitoring – With our surveillance, motion detection, tracking, and remote control features, your Heavy Duty Remote Control Base can monitor an entire room by detecting, tracking and recording movement. From anywhere in the world, use your web browser to view a history of the movement captured by your Base and Camcorder! Just run RemoteControl Base software and use to view the live video from the webcam or capture the video to the hard drive for later viewing. Run the MORAE software on the same computer and in whichever dialog within MORAE you use to choose the webcam to use, select "TrackerCam Capture Driver," which appears as one of the choices while the software for your camera is running. This sends a duplicate video stream to the MORAE software.